I recently had the opportunity to spend a major portion of a day observing in teachers’ classrooms with their principal and then discussing the observations with her. Late in the day the principal and I discussed our observations and thinking with the school’s administrative team. My thoughts: If I had videotaped the observations focusing only on the teacher, most viewers would describe what they saw as fine or at least OK. It is when the camera would pull back on the students that questions or concerns might emerge. In most classrooms we observed, the teacher was interacting with the students as a whole class. Often 50% of the students were fully engaged with the teacher and the discussion or actively participating, thinking ahead, reflecting, practicing, discussing,etc. We observed little if any disruptive behavior, so the teachers’ lessons continued to flow. Level of engagement was largely by student choice. After 10 classroom observations we found the first use of cooperative groups with teacher facilitation. Initial observation noted increased student voice, control, and attention. Longer observation raised questions concerning the value or likely payoff from “what” students were engaged in. Conversation with the administrative team confirmed that these observations were similar to theirs and could be defined as a pattern that existed in the school. PACE– Is each learner actively involved most of the time? Do lectures or videos come with a listening/thinking task? Does questioning and pause time encourage everyone to be forming answers? 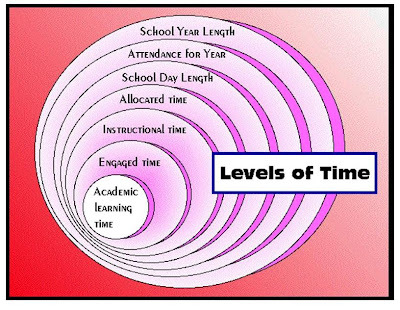 FOCUS– Do learners’ activities fall in the core area of what we want them to learn versus busyness? Are students in the play store spending more time setting up the store than practicing the math transactions? Could more energy be going into the technology presentation than into the core content of the learning? STRETCH– Are learners finding the tasks they are completing to have appropriate challenge? Are there some students doing 20 problems with no new challenge while a few students can’t start the assigned task? STICK– Are parts of the unfolding pattern of activity designed to help the learning stick? Examples include deliberate rehearsal, reflection, stock taking, and revisiting ideas and practices later and the again later. I believe that pace, focus, stretch and stick will give coaches and administrators a great place to begin conversations around observations. Teachers identifying missing components in their instruction can come to professional learning communities seeking to learn options.